The Christian Solidarity Movement (CSM) has called upon the law enforcement authorities to investigate into the brutal attack on the Veediye Virodaya street drama group, by the Hambanthota Mayor Eraj Fernando on Sunday (21), while vehemently condemning the incident. Releasing a statement expressing their concern over the assault on the group led by senior artiste Jayathilleka Bandara, the CSM has pointed out that they had every right to express their political views and it is up to the government to protect that right. They have pointed out further that in the Hambanthota incident, the violation has instead been committed by a local government politician of the ruling party. Pointing out that this Mayor has been involved in similar assaults, the CSM has questioned whether this behavior implies that Hambanthota is a seperate state where the laws of the country do not apply. Furthermore, they have pointed out that its a reflection of the collapse of law and order and lack of democracy in the country. We learned from the media reports about the brutal attack on the street drama group that was led by senior artist Jayathilaka Bandara, while they were performing, on the 21st at Hambantota. 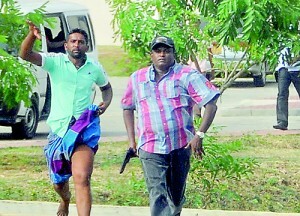 The attack has been led by a group of thugs led by Hambantota Mayor Eraj Fernando. We as the Christian Solidarity Movement believe that those artists have every right to express their political views and the responsibility of protecting those rights of the citizens lies with the government. Contrary to our expectations, the violation of right has been committed by the local politicians of the ruling party themselves. The Mayor was reported to have committed a similar crime on an earlier occasion. By such acts, does he indicate to us that Hambanthota is a separate country and the laws of the island do not apply there? One may not agree with certain political views of another but should know that the other person has the every right to express his or her opinion freely in any part of this country. The politicians have no authority to prevent anyone from exercising such rights. Will the authorities investigate this incident and bring the culprits to book? This attack is another evidence to show that that law and order and clearly democracy does not exist in our land under this government. We as democratic citizens should bring pressure on the authorities to act without political favour to anyone. Will the Police do their duty? We as the Christian Solidarity Movement, therefore, condemn this brutal attack and ask the authorities to investigate this incident without any partiality and bring those responsible to face the law. We call upon all who respect human and democratic rights to join us in condemning this brutal attack on these artists and to be on alert to avoid further escalation of violence at a time when the whole country is engaged in exercising a rare and critical act of democracy. « What Is This “Change” We Say We Want?